I'm doing something a little different today, I am sharing some products that I like to use. I was an Arbonne rep for two years and although I do still love the products, I am excited to be able to use whatever I want rather than being bound to one brand. Something that is still important to me is using "clean" products that don't have as many toxins or fillers. I found this app the other day called Think Dirty. You can scan a product's bar code and it will tell you how it scores on the "dirty meter", meaning if it contains known carcinogens, toxins that interfere with hormones, or allergens. It also explains what the ingredients are. It is a neat tool, but I still use it with caution. (Also, I have read a few articles recently about our preoccupation with eliminating toxins and chemicals is unnecessary, so I'm still trying to figure out what I should be worried about and what is okay). 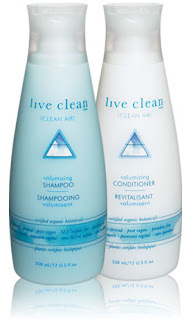 Live Clean shampoo and conditioner - I originally bought them for our guest bathroom but then got some for our shower for Dave to use. Live Clean Baby shampoo and wash - I thought this was the best option at the drug store when our Arbonne baby wash ran out and E likes it. 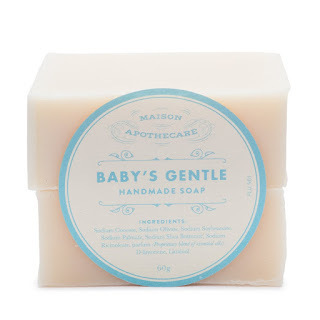 I love the soap from Maison Apothecare - it is gentle and they have nice scents. I recently bought the baby one for Q. Last year I went on a sort of crusade to find a sunscreen that didn't contain a certain ingredient that apparently interferes with hormone production. I can't remember what the ingredient was, but the sunscreen I ended up buying was Ombrelle. I buy the Sport one in both the lotion and the spray. 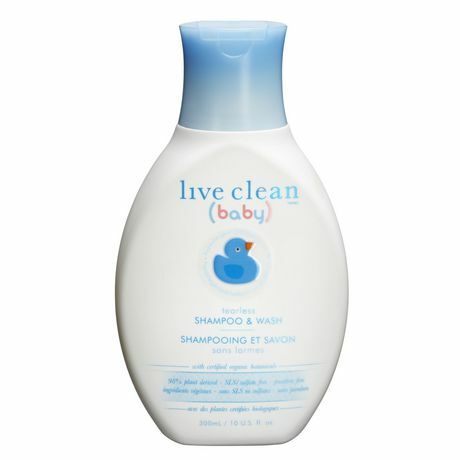 I see Live Clean makes sunscreen now too so I may try that if I see it on sale. 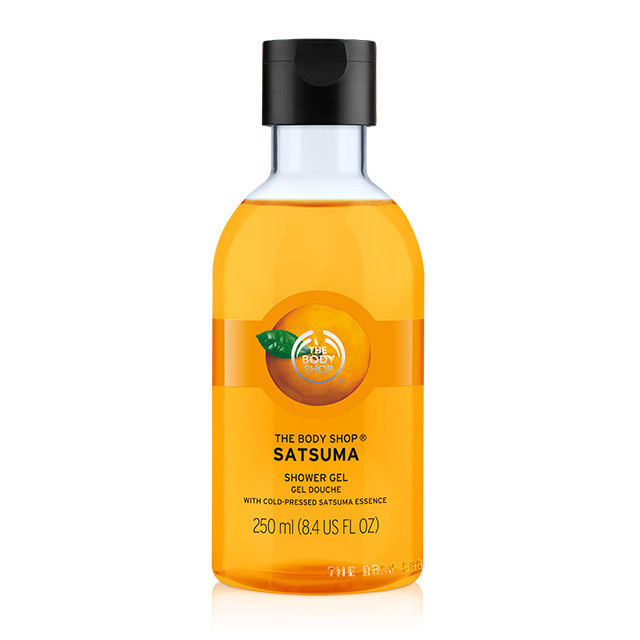 I've always love the body wash from The Body Shop but haven't bought one in years. When my current bottle of body wash runs out, I plan on picking up a new one. I may even be nostalgic and pick out Satsuma. I said in my post yesterday that I am looking for a new facial moisturizer that doesn't cost an arm and a leg. I actually found an extra bottle of the Arbonne one I've been using, so my search is not imminent. But if you have any suggestions, let me know. I'm not really interested in a "regimen", just a bottle of moisturizer. I saw a few at Sephora but they were well over $50 for a small tub and I thought that was too much. Happy Friday, hope it's nice where you are!